This month's prompt for Band of Bloggers is all about short and sweet games. There are so many options for this I didn't initially know what direction to go. I decided not to write about 1 specific game. Instead, I chose 3 games that I have played this month. I'll just tell you a bit about why I enjoy each of them. Let's dive in. Florence is a very short game available on smart phones. It's made by the same people that made the insanely good Monument Valley games. I beat the whole thing in a little under half an hour. It's sort of a visual novel in a way. It's hard to explain without spoiling anything. But basically you play as a girl named Florence. You live your life and fall in love. The game takes place over a couple of years. You see how Florence grows, learns, and changes. You see her experience love and romance. It's a really beautiful story. The gameplay is somewhat abstract. If you want to enjoy the game, you'll need to try to think about what is going on in the subtext of the gameplay. Overall, I really enjoyed this. I highly recommend it. This beauty made my top 10 games of all time list. It's really good. I just bought and beat Ace Combat 7. It is a truly marvelous game. The gameplay is tight and intense. The control you have over your plane is fantastic. The missions are varied and interesting. The music is stellar. But there's two notable areas where the game lacks: it has no tutorials and the story was serviceable at best. Ace Combat 5 doesn't have these problems. It has an extensive tutorial section if you need it (I certainly needed it back in the day). But most important is the story. It is riveting. It ranks among the very best stories I have ever experienced in a video game. I was worried about revisiting it now as an adult. Knowing the story, I feared that I would find it just corny and silly now. Thankfully, my concerns were unwarranted. The game tells a thrilling story full of geopolitical intrigue. It's kind of a similar flavor to Metal Gear Solid, but it's told in a more straight-forward manner I'd say. The game takes place in another universe on a planet called Strangereal which is very similar to our own (they have the same planes and even some of the same music as we do). But the continents, history, etc are all different. You play as Blaze, a mostly silent protagonist. You lead a team of pilots in a war against a neighboring country: Yuktobania. You fight for your country of Osea. The two countries have been at peace for the last decade or so. Prior to that, they teamed up to fight an aggressive country called Belka that tried to take over the world. After knocking down the Belkans, the two countries laid down their weapons, until one fateful day when the Yukes attack out of nowhere. As the story unfolds, you learn why the war occurs and your goal becomes to end the war once and for all. It has some good twists and some enjoyable characters. I don't want to say more, as I don't want to spoil anything. The gameplay is really excellent. It's not quite on the level as 7. And it shouldn't be, considering how much older it is. But it's very solid. The missions are varied and challenging. It doesn't take too long. I played on the second lowest difficulty. And I've played the game before. But this time it only took me 4 and a half hours to play through it. It's just a really short, sweet game. It's definitely replayable though. You can try again on a different difficulty setting. You could switch control schemes (there are 2 very different control methods in these games). You might play it again using totally different planes than you did the first time. Also, there are 2 or 3 points in the game where you get a choice between two missions. The game doesn't tell you this. But anytime Chopper asks you a question about music, you can say yes or no. This determines which of 2 missions you play next. BTW, our resident Ace Combat expert Gundy advises to always say Yes to these questions. If you purchase Ace Combat 7 on the PS4, you get Ace Combat 5 for free. That is, until 02/18/2019. If you have any interest in these games and you have the money to pay for it, go buy it now. Absolutely worth the investment. Here is a link to the Playstation store for you if you need it. 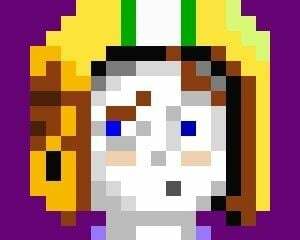 This is my favorite game on the SNES. I've played it literally hundreds of times in my life. It's so good! It's a very simple platforming game. You have walking, crouching, running, jumping, apple throwing, and parachuting gliding. That's it. You have some basic enemies, which can all be defeated by jumping on their heads. Even Jafar is defeated in this manner. There are gems you can collect which will earn you extra heart containers. Each stage (which can consist of multiple levels) has 10 red gems you can collect. It's quite challenging to find and collect all of them in a single run. I've rarely done it, because it's hard for me to remember where all of them are hidden. The game has a lot of variety in environments. You start in the mean streets of Agrabah. Then yo0u go to the Cave of Wonders, which ends in a dramatic escape where you fly the magic carpet and try to avoid waves of lava. As a kid, this level was insanely difficult. Now, I can beat it on the first try nearly every time. Later in the game you'll go through ancient pyramid-esque structures. You'll fight through Jafar's Palace after he rises to power. But the best part of the game is an addition to the story that wasn't in the movie. After you meet Genie, you enter his lamp and find yourself platforming through an abstract Genie-verse. This section has the toughest platforming in the game (not that it's super hard). The most interesting section can be seen in the screenshot above. Genie appears before you and conjures things for you to platform on. There are 3 things he can conjure. A cloud, which is just a simple platform. A ring, which you must swing back and forth on. A card, which you bounce on repeatedly. When you land on one item, he conjures the next. Meanwhile, the ones behind you are disappearing. What makes it interesting is that there are 3 possible iterations of this. Your first time you have a medium-difficulty combination of things to platform. If you die there, you'll try again and Genie will change to a different set that is actually harder than the first in my opinion. If you die a second time and make a third attempt, Genie will give you an easy time. He'll just conjure clouds for you to hop across quickly. If you still die, he'll just loop back to the first iteration. I found this sort of adaptive-difficulty absolutely fascinating as a kid. I still think it's a really cool idea. 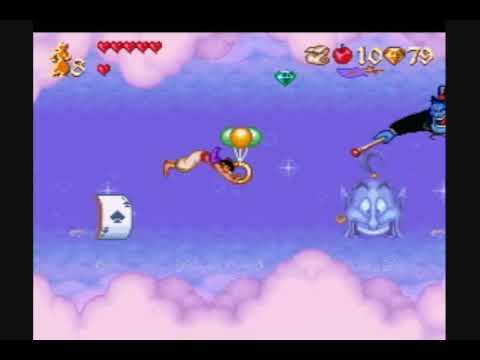 Overall, Aladdin SNES is a great game. It's pretty short, too. In the video embedded above (it's not me playing, it's just a rando I found on youtube), the player takes about 40 minutes to play through. As a teenager, I could beat the whole thing in just over 20 minutes. If I really dedicated myself, I could speedrun this game pretty well I think. I'm not that dedicated, however. So there you have three short and sweet games that I've played this month. I highly recommend all of them. I hope you'll give them a shot when you get a chance. If you have played any of them, share your thoughts on them down below! And of course, we still have 2 weeks for you to write your own blog entry!